Yesterday, I discussed Users, Anonymous and ICE. Today I will introduce LulzSec and the FBI and how they interact with the other two groups, if I have space I’ll also add some of the impact on users. LulzSec is a rather new hacking group. I think I’ve been seeing posts about them since about June. I’m pretty sure they’ve been around longer than that, but within the last few weeks they’ve really picked up their online activity. This group claims they are fighting for the user and are going after, white hat, black hat, and government agencies. White hat and black hat are different types of hackers. White hats will find vulnerabilities, and then notify the firm of this vulnerabilities in their systems. The white hats help protect user data from the black hats, which are typically the bad hackers. LulzSec is something of a gray hat. They hack firms and then publicly display the vulnerabilities, by they claim they are doing this only to force the firms to change their behavior. They are also attempting to out bad apples, or so they say, in the white hat community. These guys are apparently pretty good, as their domain name was seized by ICE, and they took it back. On the ICE seizure page, in my previous post, they added this “rage guy” to it. They claim they only do it for the Lulz (lols or laughs). This of course did not make the US government too happy. So, two days ago the FBI got involved in the situation. They proceeded to take the server which the LulzSec website was hosted. Which impacted innocent websites as well. As the hosting agent wasn’t aware of this action until a few hours after it occurred. According to the hosting agent, the FBI took additional servers that weren’t involved at all. Here’s an article from the NY Times with a bit of a time line of the event. The LulzSec website is currently no longer up, as it appears the server with the website has been taken offline. LulzSec has been targeted by both governmental agencies and some members of Anonymous and other hacking groups. The hackers are trying to show that these guys are a bunch of amateurs and aren’t covering their tracks very well. 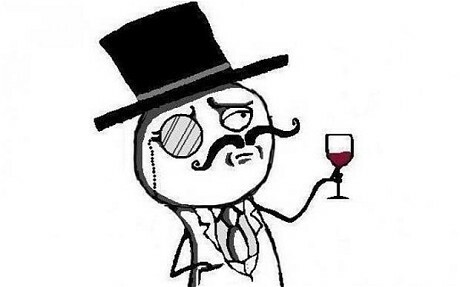 There’s been one LulzSec arrest so far in Spain. There have also been numerous Anonymous arrests as well. Each arrest supposedly is a leader in the movement, which each movement denies and mocks the arresting government as being incompetent and the person they caught is only a bit player in their campaign. So what’s the big idea? They hack stuff, they get arrested, they lose connection to the internet. What’s the big deal? Well, I think that both Anonymous and LulzSec are using hacking as a means of protesting, but also attempting to fight over the structure of the internet. Anonymous feels that no one is listening to the larger internet community on how they feel firms should interact on the internet, and they also feel that the internet should be open and should be unregulated. LulzSec is a bit more of a loose cannon and are basically trying to cause as much mayhem as they possibly can. However, I think that they are using a different technique to achieve the same aims, an unregulated internet. Tomorrow I’ll discuss some of the impact on users and what the structure of the internet means for most users, and how it can affect how the internet works in the future. This entry was posted in Culture, Technology and tagged Anonymous, FBI, ICE, Internet, LulzSec. Bookmark the permalink.